No survivor should ever be without a good, reliable lighter. You never know when you might need to start a fire for warmth, light, or defense. With the Bloody Zombie Zippo Lighter, you will always have fire and know your enemy. That enemy is the ghoulish face of the walking dead. 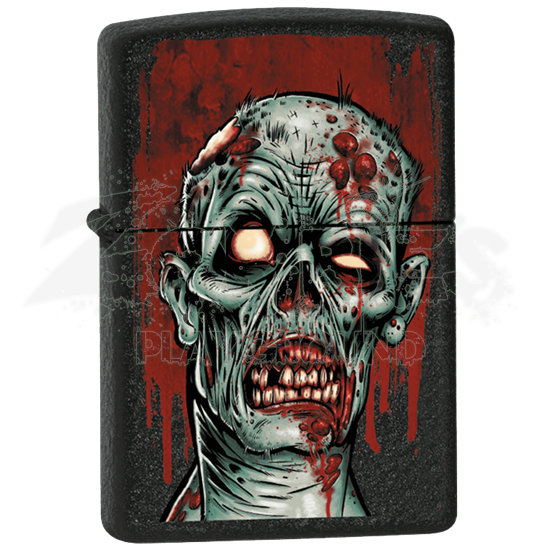 This lighter features an attractive black crackle finish that features a stylized zombie decoration. A zombies head makes up the bulk of the design, with the zombies lips being pulled back to reveal bloody, jagged teeth, while the rest of the zombies dead, green skin decays away. Behind the zombie is a large splatter of blood. This lighter is virtually windproof and will offer flame in virtually any situation, whether you are lighting a candle indoors or starting a campfire in the wilderness. 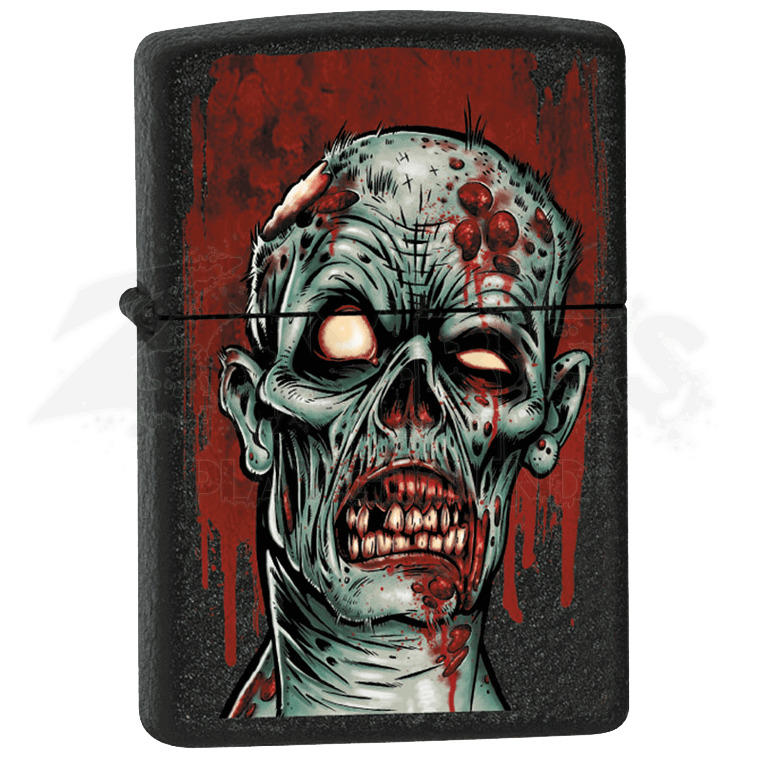 As unfriendly as this lighter looks, the Bloody Zombie Zippo Lighter is a useful little tool to carry when you are going through your daily routine, whether that routine involves work and modern society or running from the walking dead.